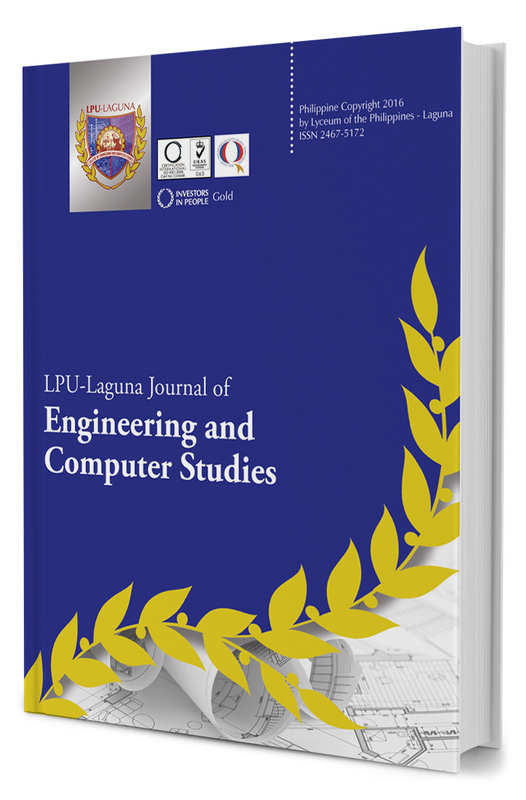 LPU Laguna Journal of Engineering and Computer Studies is an open access journal that publishes original research articles from scholars involved in all aspects of engineering, computer science, and information technology. It is an annual publication of LPU Laguna College of of Engineering and Computer Studies. EFFECTS OF WORK ENVIRONMENT TO THE HEALTH AND PRODUCTIVITY OF THE WORKERS OF IM DIGITAL PHILIPPINES, INC. ELIMINATION OF LOW INSULATION DEFECT ON WIRING HARNESS IN NISSAN 1–ALTIMA USING SIX SIGMA METHODOLOGY AT YAZAKI-TORRES MANUFACTURING INC.